1) The church has a head. He is Jesus Christ. None other. Not you or me. Not your "senior pastor." All authority has been given to Him in heaven and on earth. 2) The Holy Spirit has sovereignly placed each member in the Body of Christ. 3) Every member of the Body has a special gift. All members of the Body (male and female) are to exercise their gifts, and all gifts are to be exercised for the glory of the Head and for the witness and ministry of the Body (evangelism and edification). 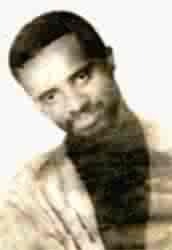 4) Elders (undershepherds) are gifted to help the members discover and use their gifts. The biblical pattern is for a plurality of co-equal male elders who have been raised up from among those whom they serve. 5) Together these ministers -- leaders and led alike -- comprise the sum total of the activity of the Body. All members of the Body are "ministers." 6) For the Body to function properly, there must be a system of fellowship that permits intimate relationships to develop. This cannot take place during a depersonalized meeting. In the early church the Agape meal offered this type of fellowship. 7) Each member of Christ's Body has a solemn responsibility to serve the other members. The gifts of the Holy Spirit require us to live interdependently, serving together in the corporate life of the Body. Most important of all, continue to show deep love for each other, for love covers a multitude of sins. Cheerfully share your home with those who need a meal or a place to stay. God has given gifts to each of you from his great variety of spiritual gifts. Manage them well so that God's generosity can flow through you. Are you called to be a speaker? Then speak as though God himself were speaking through you. Are you called to help others? Do it with all the strength and energy that God supplies. Then God will be given glory in everything through Jesus Christ. All glory and power belong to him forever and ever. Amen. I suppose many hundreds if not thousands of Americans have gone to Romania on short-term mission trips. I am humbled to think that it is now my turn. I am grateful to all those who made this trip possible: to God who does all things well, to Radu Gheorghita who invited me to lecture, to Nathan (in whom I am well pleased) who is watching the farm while I'm gone, and especially to my wife Becky who wholeheartedly supports me going. Thank you, darling. I will miss having you with me. I love you. 8:20 PM The biggest storm of the year has just passed. We started baling about 4:00 pm as the dark clouds were gathering in the west. By the time we got our last trailer load to the horse barn the first rain drops had begun falling. And just as we unloaded the last bale God opened the spigot of heaven and the rain started in earnest. This has happened time and again, when the Lord Jesus held off the rain until we completed our work. That's just like Him, isn't it? 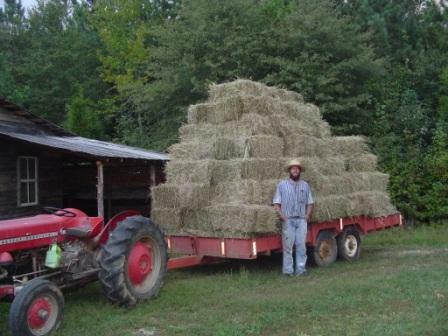 Today we got up 255 bales. Each one of them will come in handy when winter begins. 12:12 PM Just checked the weather in Romania. It calls for sunshine and highs in the mid-70s next week, lows around 60. Sounds ideal to me. In the background I hear Becky scurrying about ironing my shirts and packing my suitcase. Thank God for her gift of organization! I miss her already. 11:51 AM Well, Radu has sent me our Romanian itinerary. It's a very busy schedule, which is the way I like it. I leave Raleigh-Durham tomorrow morning at 10:30 and arrive in Budapest at 9:00 am on Saturday, where I will be greeted by Radu's brother-in-law at the airport. 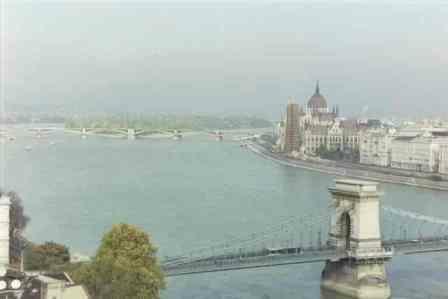 While waiting for Radu's flight to arrive later in the day we will take a brief tour of beautiful Budapest (below). 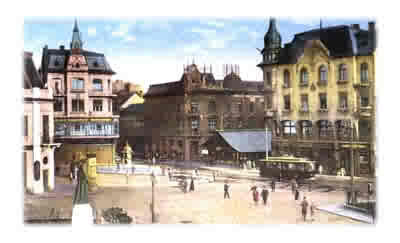 On Saturday evening we'll drive to Oradea in Romania (below). On Sunday, Radu will preach at the Providenta Baptist Church in the morning and I will speak there in the evening. Sunday morning I have been invited to speak at the Tulca Baptist Church. Radu describes Tulca (below) as "a quintessential village church, in a farm land -- especially chosen to match your interest in farm life." I wonder if anybody goes horseback riding? 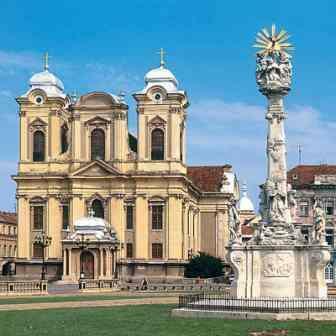 On Monday and Tuesday the colloquium meets in Oradea. I will be teaching in the morning and the afternoon for about 6 hours each day. On Wednesday we travel to Cluj (below). My maternal grandparents, George and Rachel Arsu, left Cluj in the early 1900s to emigrate to America with their 10 children. While in Cluj we will do some sightseeing and meet with the chancellor of the state university. 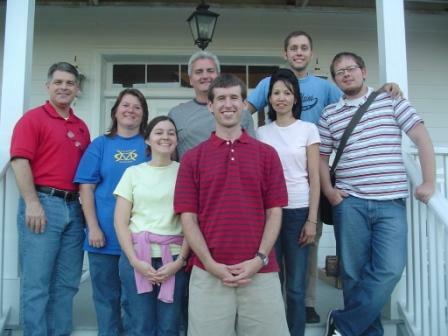 We'll also enjoy lunch with several of the theology students there and visit the Reformed Theological Institute. The million dollar question: Will I find any Arsus in Cluj? 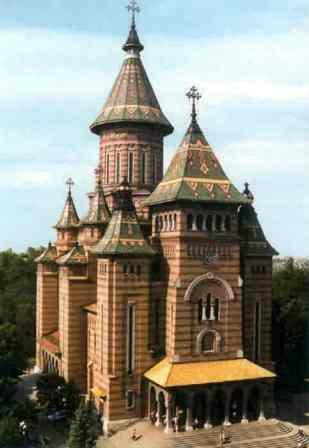 After leaving Cluj we will drive to Timisoara (below), where I am scheduled to speak at a meeting of the Areopagus (love that name!) on Jesus' missionary method (which Becky and I try to emulate in Ethiopia). For more information on this fascinating organization, go here. After overnighting in Timisoara we drive to Alba Iulia (below) in Transylvania for a continuation of the colloquium on Thursday and Friday, again teaching about 6 hours daily. 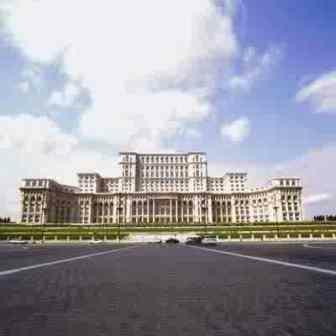 Finally, on Saturday we drive to the capital city of Bucharest (below) to visit the Baptist seminary and the Ruth Center for Gypsies. I will be speaking in churches both morning and evening on Sunday. On Sunday evening I take the overnight train to Budapest for my flight home on Tuesday morning. Of course, all of this is pending the Lord's sovereign leading. Anything can go wrong, and something probably will. Still, I feel like a child in a candy store. Later I'll have an update on what I'll be teaching. 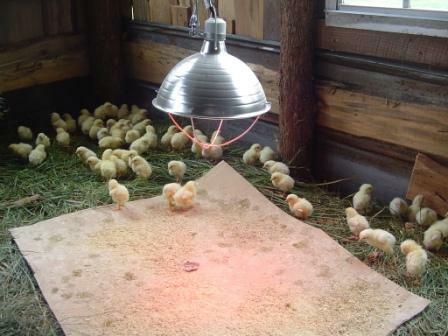 7:30 AM Our fryers are enjoying their chicken mansion. We Baptists do indeed love our fried chicken. 7:27 AM Romania is in the headlines. Along with Bulgaria it will be joining the EU. Two thousand years ago Romania was the last country to be incorporated into the Roman Empire (that’s why people there speak a Romance language), so it only makes sense to add it to the new European powerhouse. Hello, Dr. Black! Our children are fascinated with your ministry in Ethiopia (as are my husband and I!). Please do add us to your list for updates. Even though they are mere children, they are faithful prayer warriors. Please let us know how we can pray for you, Becky and those you serve in Ethiopia! I’m happy to add their name to our mailing list. The prayers of God's people mean everything to us. 7:20 AM Here’s the big question while I’m gone and my Greek students are taking their take-home exam: Who will earn the much-coveted 110 Award? The 10 extra points come from translating a sentence from English into Greek perfectly. The award is a free copy of one of my books. As far as I’m concerned, the more the merrier. Want a tip? Reread each lesson carefully, including the fine print. 7:17 AM Our good friends the Lindholms have just sent us some pictures of the dedication of the new Addis Kidan meeting hall in Addis Ababa. I extend my heartiest congratulations to all. When I spoke there a year ago they were meeting under a leaky tent. 7:15 AM Don’t you love Bill Cosby? Who else would have the nerve to tell young people to spend as much time practicing algebra as they spend practicing sports? Greek students take note! 7:13 AM Darrell Dow pens this worthwhile review of Pat Buchanan’s latest book. 7:10 AM New Testament scholar P. J. Williams clarifies the meaning “original text of the New Testament.” Well done, Pete. 7:05 AM In Greek yesterday we enjoyed the wonderful word play Paul used in Phil. 3:2-3. He calls his opponents the katatome (mutilation), while he and the Philippians are the peritome (circumcision) – a pun luminously retained in the KJV’s “concision” and “circumcision.” (Compare Thomas Hood's, “They went and told the sexton and the sexton tolled the bell,” or “Grave men, near death.”) The enemies of the cross are those who “cut off.” But we “cut around.” Brilliant. Makes you think Paul may have had an acute case of this dreaded illness. 7:00 AM Michael Lundell offers some reasons to visit Romania. 7:58 PM I arrived home to a wonderful supper prepared by my one and only -- liver and onions, mashed potatoes, and green beans. It's amazing to think that tonight I was eating beef from an animal I raised from a calf. 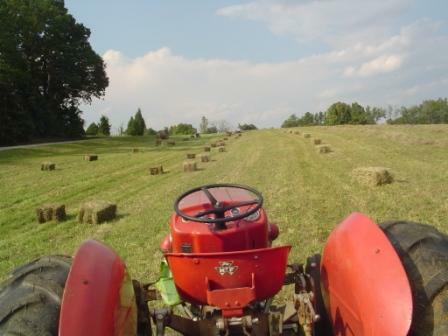 I noticed that Nathan had mowed several of our hay fields while I was gone, so it looks like we're baling tomorrow. The weather could not be more ideal for it too. After supper I visited Traveler in the big pasture. He knew I was coming long before he could see me. Animals are strange and wonderful in that way. You should have seen him running, as only a thoroughbred can do. The goats tagged along, though at a much slower pace. We're up to 20 now, with more on the way (assuming that our billy Pharaoh has been earning his keep). Tomorrow is packing day. Jesus told His disciples to "travel light," and I'll try to follow that advice. I'm taking several copies of my books as gifts. I still can't believe I'm going to Romania. I feel like a long lost son going home. I'll write more tomorrow, but tonight's popcorn and reading can't wait any longer. 6:22 AM We know some friends who just visited Oahu. They hiked up Diamond Head and snorkeled at Hanuama Bay. But they missed the best place of all. 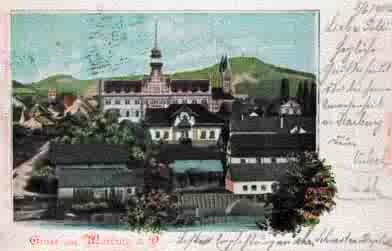 6:19 AM Tibor Machan fled Hungary at the age of 14. Recently he assessed the political situation in his home country. It doesn't look good. But that's what always happens when governments try to redistribute non-existent wealth. By the way, I will be driving from Budapest into Romania this Saturday. 1) Could this be the perfect blog? 6:10 AM This morning at 9:00 Becky and the wife of a local church pastor are launching a prayer meeting for missions. It will be held each week at Union Chapel Baptist Church. My good wishes and prayers are with them. 6:08 AM Severe persecution of Christians continues in parts of Ethiopia. Here's the true story of one martyr (see photo) who was killed for refusing to deny Jesus. For other stories go here. 6:05 AM Here's more on well drilling in Ethiopia using manual drilling techniques. Note: Lake Langano is where Becky worked in a medical clinic on our second trip to Ethiopia. 6:03 AM Yesterday we went to our local feed store to buy some chicken scratch and horse oats. While there I saw a poster announcing an upcoming horse show. Of the prohibited activities mentioned, this one figured prominently: "Absolutely no foal language." I don't think it was a pun. We are having communication challenges with the Burji church. There are only 3 telephones in town, and only one internet access. Recently the internet access (a government office) is being denied the church leaders, and phone connections simply are not going through. So we are trying letter-writing, which takes about 6 weeks one way! There is another internet access that is available, after driving about 4-5 hours, if you can find transportation. Please pray for better communication, in whatever manner our Lord wishes to supply it. And pray for contentment with whatever level He provides. There are three primary issues we need to talk over with the Burji church: the Bible distribution, the Meeting Hall completion and the trip with others in summer 07. The funds that we took last May are becoming exhausted, as we distribute additional funds for building churches in Alaba. Inflation has sky-rocketed, so the previous estimates and strategies have been adjusted. Pray for wisdom as we manage the funds in hand so that they will be stretched as far as possible. God has His perfect timetable, and we must rest in His provision as it is supplied. Kura is a blind boy in Burji. 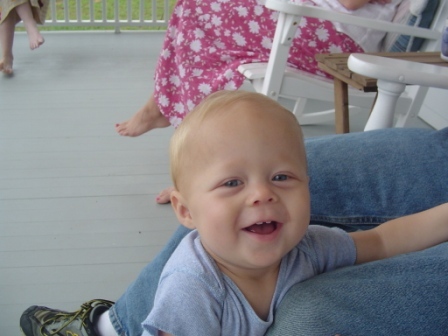 He is about 18 years old and is dying from a brain tumor. The tumor has spread to his spine & is causing tremendous pain in his body. We have gotten him the strongest pain medicine available in Ethiopia; please pray that he will gain relief and will live in the grace of our Lord, despite the pain. Pray also that this situation will work for the spiritual strengthening of his parents & siblings. If you would like to be added to Becky's email list, just send us a note. This will allow you to receive updates and urgent prayer requests as soon as Becky writes them. I will also post them eventually in our Ethiopia Files. And thanks again for your love and prayers for Ethiopia. 1) Who? I was invited to lecture in Romania by Professor Radu Gheorghita of Midwestern Baptist Theological Seminary in Kansas City, MO. Radu (see photo) is a native Romanian and holds a doctorate from Cambridge University. He will be my translator and guide. You can see that Romanians are tall, dark, and handsome. Considering the fact that I am only half Romanian, I missed out on the dark and handsome part. 2) What? I will be the speaker for the second annual Dumitru Cornilescu Colloquium, established largely for younger pastors and theology students in Romania. Last year's inaugural lecturer was my friend Doug Moo of Wheaton College. 3) When? I will be gone from Sept. 29 to Oct. 10. 4) Where? 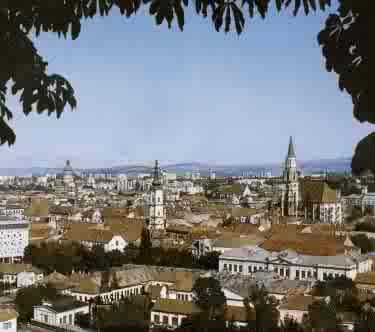 The colloquium travels from city to city, beginning in Oradea in the northwest and ending up in the capital city of Bucharest in the southeast. I also have preaching engagements scheduled in both the cities and the countryside. Radu has promised me that we will get to Cluj, where I hope to make contact with my grandparents' family. 5) Why? Many younger pastors and theologians in Romania are rethinking fundamental issues of church life, including the role of women in ministry, the place of sign gifts, and principles of leadership. I have been asked to give my views on these and other topics. I hope to post a detailed itinerary before leaving on Friday. And yes, I will be taking my camera along. 7:02 AM I leave for Romania in 5 days. I am also praying constantly about going to Iran. I realize that I can go only as God gives me an open door and a green light. The fact is, the only way I'll know whether it's the Lord's will is by much, much prayer. Paul deeply desired to go to the people of Bithynia, but God called him to Macedonia instead (Acts 16). Apparently Macedonia was ready for the Gospel but Bithynia wasn't. Or maybe it was just that God wanted Peter to evangelize Bithynia (see 1 Pet. 1:1). God had a plan for Bithynia, but Paul wasn't part of it. Only by being intimately in touch with God did he know he should bypass Bithynia and go on to Macedonia. When it's time, God will make a way for me to share His love in Iran if that's His plan for me. Meanwhile, I must exercise patience. How I thank Him for those who model for me the evangelistic impact of a yielded, servant lifestyle! More than 75 per cent of the population of Ethiopia lack access to safe drinking-water. More than 300 million people across Africa drink dirty water daily. Access to clean water would save women and girls walking an average six kilometres a day to fetch water, freeing more time for the family, for school and for productive work. Yet the rich world's aid to the water sector has fallen by 25 per cent since 1996. 6:50 AM Jeremy, Sarah, and Victor Enquist blessed us with a visit over the weekend. Jeremy's father is an elder in a barn church that meets near Rocky Mount, VA, where I've had the pleasure of speaking several times. 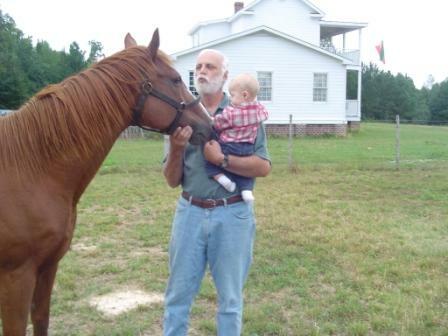 They rested, chatted, took long walks on the farm, and met all the animals. Here's Traveler welcoming young Master Enquist to Bradford Hall. Victor, you are exactly what your name means: a winner! 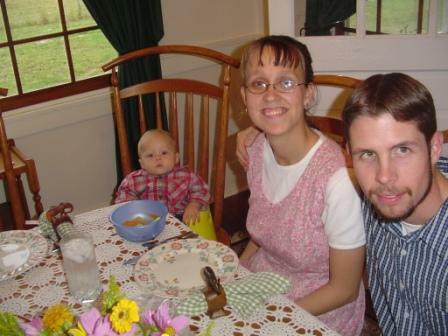 Side note: Jeremy and Sarah have begun reenacting and are finding it a wonderful mission field and ministry opportunity. Their lives are a constant testimony to the love and goodness of the Lord. The Gospel is not something primarily preached on Sunday. It is the Good News that God's forgiving power is available to overcome the engulfing power of sin. Evangelism is simply introducing this forgiving and restorative power into the webs of human relationships. I once read that over 80 percent of those who trust Christ and remain true to Him are led to the Lord by a friend, while over 70 percent of those who "accept Christ" and drop away are led to the Lord by a stranger. The difference is a lifestyle of personal involvement in the lives of others. Let's forget the bumper stickers and gospel blimps and get back to the basics of loving and serving others in the name of Jesus. from the carwash. Even more amazing to me is the faithfulness of the Lord with the weather. It was a beautiful 75 degrees out with clear skies after a week of rain and cold weather here. Thank you for praying this event. 6:36 AM A word to my Greek students. A basketball coach once posed this question: "You have two guys run down to first. They have equal times, but one has much better form. Which one do you choose?" Answer: You choose the one with the bad form. You can coach him to use good form and he will beat the other guy. Remember, if you need a Greek coach, my door is always open. 10:08 AM The "Carwash for Ethiopia" in Washington was postponed to today. I'm praying for the sunniest sunshine thus unsunny state has ever had. 7:31 AM The latest addition to our home page is called Partners in the Gospel. 7:24 AM God is at work among the Orthodox of Ethiopia. 7:22 AM Mike Blyth reviews Iran: Desperate for God. 2:19 PM Becky is busy preparing the house for weekend guests. Tonight's supper menu? Romanian Stuffed Peppers. My mouth waters just thinking about it. 7:45 PM Nate just called from his farm. He's bringing up popcorn while we do some reading. I'm finishing up Moonless Night by Jimmy James, a superb escape story from World War II. 7:33 PM Growing up in Hawaii means you never wear shoes if you can avoid them. And today I'm paying a high price for my bare feet. I think I must have the flattest flat feet on the planet, and I was on them all day painting a porch. Right now they feel much better because I've been sitting down for a couple of hours. Becky was busy prepping for her meeting tonight so yours truly cooked Chinese food for supper, using (of course) my secret ingredient. For the meat I used some filet mignon from one of our cows. Tender and delicious. Right now I'm sitting here thinking about and praying for B. as she speaks. 7:57 AM The latest addition to our home page is called Gamblers for Christ. I was "introduced" to you via your book "Learn to Read New Testament Greek." I'm now about 18 months into learning Greek, mostly self taught with some help from a friend, and it has thoroughly changed my life. It's really quite profound to me that (a) I'm actually able to do it (I had serious doubts when I started and it took a lot of encouragement from my friend who helped me), and (b) that learning the Greek makes such a huge difference in reading the Bible. I like to quip, "Greek is actually very easy. It's us Greek professors who get in the way." To all of you who are learning this wonderful language: May the Lord Jesus richly bless your efforts. And remember: If you drop me an email I will send you gratis a pronunciation CD and workbook. 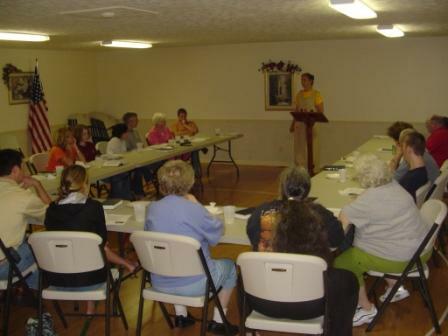 7:51 AM Tonight Becky will be speaking to the Women's Missionary Union at Bethel Hill Baptist Church. Her topic? The women of Ethiopia. This is one my all-time favorite pictures of Becky. The Ethiopian is Ashageru, Bereket's sister. She has also become our sister in the Lord, praise God. Because you've contacted us in the past about our Holy Bible: International Standard Version, we're writing you to let you know that we've just released version 1.4.0 of the ISV. Our new release supersedes all previous releases. Please click here if you'd like to download your own free copy of the ISV in Microsoft DOC format (compatible with Microsoft Word and the open source OpenOffice) or in Adobe Acrobat's PDF file format. 7:42 AM Thanks to all who wrote to me with their remedies for sinus headaches. Seems there are many out there. 7:40 AM The last few days have been eventful to say the least. I am gearing up for my trips to Romania, Ethiopia, Morocco, and (possibly) Iran to lecture in an Islamic seminary. Islam is in the news again in a big way. What strikes me is how painfully ignorant of Islam we are in the West, even though it is the world’s second largest religion. Yes, I include myself among the ignorati. Like Judaism and Christianity, Islam has its origin in the Middle East. It represents belief in heaven, hell, and a day of judgment, and it venerates prophets from the Old and New Testaments including Abraham and Moses. Christian Arabs use the term Allah to refer to God the Father when they speak Arabic. And the list goes on and on. Often our idea of Muslims comes from the worst flying-carpet stereotypes. As one writer has put it, “It is as if anything to do with Allah must be demonized in order for us to feel righteous and justified.” More importantly, we approach Islam with a double standard. We are quick to condemn violence when its source is Islamist but ignore the history of violence, slaughter, and imperialism in Christianity. Anti-Americanism is driven not only by the blind hatred of terrorists like Osama bin Laden but also by a broader frustration and anger with American foreign policy among many in Arab and Muslim societies. Many see our espousal of self-determination and human rights as disingenuous in light of our tough guy stance in the world. We use the danger of “Islamic fundamentalism” as an excuse for authoritarian responses and policies. Clearly the cancer of global terrorism will continue to plague the West until we address its political and economic causes, causes that have bred hatred and radicalism and recruits for the bin Ladens of the world. Meanwhile, what can I do? What can you do? Love Muslims. Love them wherever you find them. Invite them into your home. Share your lives with them. Speaking personally, I am committed to sharing the love of Jesus with every Muslim I meet, whether in Ethiopia or elsewhere. Yes, they are kidnapping Christians in Alaba and murdering their children. All the more reason to “hold forth the word of life” (Phil. 2:15), just as the bright light from a lantern dispels the surrounding darkness. If Jesus could bring His light into this poor world for the sake of an evil sinner like me, surely I can share that light with Muslims. 7:31 AM If you think about it, please remember in prayer our son Bereket, who goes back to school in Gondar this week. We are sending him to a private school where the classes are smaller (public schools in Ethiopia can have up to 100 students per class). God did not see fit to heal him to the point where he can use eye glasses, so reading will be a struggle for him. Revelation 21:4 says that one day the Lord "will wipe every tear from their eyes. There will be no more death or mourning or crying or pain, for the old order of things has passed away." Thank God, disease belongs to the "old order" that is passing away. Meanwhile, we all must struggle with our physical limitations, but I think it’s harder for young people. Someone once said that people are like tea bags. You never know how strong they are until you drop them in hot water. This will be a test of Bereket’s faith, so please say a prayer for him from time to time. 6:59 AM I know it's a bit dated, but I enjoyed this interview with Morocco's king. As you know, I'll be lecturing at the University of Marrakech next March, Lord willing. 6:55 AM Seems that several of my former students will be studying in Europe for their doctorates shortly, which makes me very happy. I look back on my own doctoral studies in Basel with nothing but sheer joy and satisfaction. My advice is to avoid the American ghetto as much as possible. Get to know the country and its people. That way you'll get 2 "educations" for the price of one. 6:51 AM In preparation for my trip to Romania I'm working on an essay called "The Lord's Supper: Big Nibble Or Sibling Revelry?" Pray for me. 6:46 AM I love coral, even though it almost killed me while surfing the Banzai Pipeline while in my teens. The BBC has a new post on coral reefs and the surprising animals one finds among them. Click here to read it. 6:41 AM This is a big day for me because we are expecting a major storm system to come through and when that happens I usually get a severe sinus headache. We'll see if the medicine I've been taking prophylactically will work. If not, it'll be back to grinning and bearing it. 6:37 AM Is this cool or what? In both first AND second year Greek this week we are studying adjectives, including how to use them emphatically. For example, Jesus didn't say, "I am the good shepherd." He said, "I am the shepherd, the good one," implying that not all shepherds are good. We can do something similar in English when we say, "God Almighty will grant you life everlasting" instead of "Almighty God will grant you everlasting life." Of course, in other languages (such as Spanish) the postpositioning of the adjective may have a different function. Ain't languages fun? 6:32 AM Meetings do not get any better than the one we had last night. It was bathed in prayer and blessed with a spirit of yieldedness and anticipation. The most discussed topic? Bathroom facilities. Or lack thereof. Latrine pits were a new concept for most in attendance. Still, at the end of the meeting at least 8 people indicated a strong interest in going to Ethiopia with us next summer to visit their sister church. Becky also gave Pastor Jason some photos of the Soyama church for Bethel Hill's new church directory. The excitement is mounting, folks. It gives you a great feeling knowing that God already knows the team members. May the Lord richly bless Bethel Hill Baptist Church and their sister congregation in Burji. It's obvious that good things are happening in both places. 5:10 PM In 5 minutes we leave for Bethel Hill Baptist Church in Roxboro to meet with those interested in possibly going to Ethiopia with us next summer. It will be quite an extensive briefing. I am very excited. I am also a bit tired. This morning Nathan and I went to Carolina to buy a new wood stove for his farm house. It was a steal -- only $100. Our trailer got a flat and it took us 3 hours before we found a tire store that could replace it. Then we wormed the goats, did some fence mending, and took a break. Tonight marks a new step in our ministry and we are praying that the Lord Jesus will guide us clearly as to His choices for our summer team. 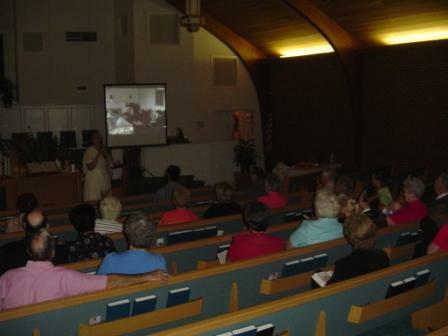 7:45 AM This week Becky and I are speaking on Ethiopia 5 times, including last night at Cavell Baptist Church in Roxboro (see photo). I really wish I could put into words what I feel about my partnering with Becky in this way. As she put it to me the other day, barely 2 years ago we had no real connection with Africa, and yet today we have 9 Ethiopian children and a ministry of providing eyeglasses, flannel graphs, vitamins, protein bars, Bibles, buildings, sponsorships for Bible school students, laptops, projectors, the Jesus Film, leadership training, mentoring, and more. The preparation for this winter's trip has started with a rush, and I am constantly amazed at how the Lord directs not only us but others as well. What I am witnessing is something more than an organization or even a movement but a clear, quiet moving of God in His dear children. 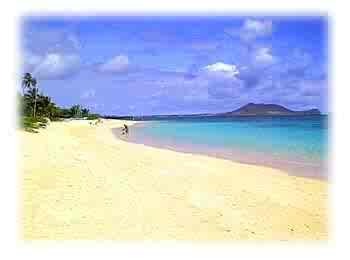 The joy that I am experiencing today reminds me of the reality of my days in the Jesus Movement in Hawaii when as a 16-year-old I gladly volunteered to serve the Lord in practical ways (such as building the First Baptist Church of Honolulu). Increasingly I see the world as my home, and doctrinal correctness as exceedingly practical. Why should the Holy Spirit's leading today be any less real than it was in the first flush of my days as a disciple of Jesus Christ? Be assured that Becky and I appreciate your prayers and emails of encouragement, though one feels totally unworthy to receive any of these expressions of love. 6:47 AM More pics: Becky and I missed the grand opening of the Chicken Palace on Friday, but I see that all 200 of our chicks arrived safely. Here they are enjoying the free all-you-can-eat buffet. 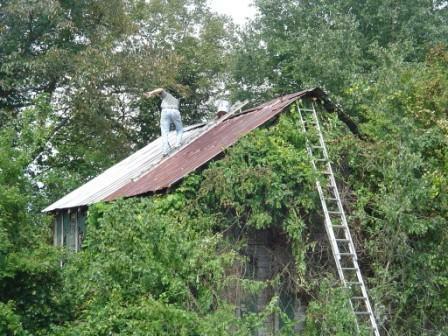 Nate repaired and painted a neighbor's barn roof. Now it's good to go for another 25 years. The Rondeau Family Singers and Players shared our supper table last night. 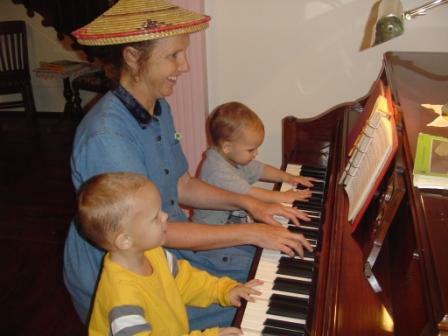 Here Caleb and Isaac assist Becky with their considerable musical talent. 11:33 AM Today's the day. I'm talking about the "Carwash for Ethiopia" the Heath family is holding in the great state of Washington. I'm praying for sunny weather. 9:25 AM Well, it was incredible. After 2 solid days of rain the Lord Jesus sent us perfect weather for our entire trip. First stop? 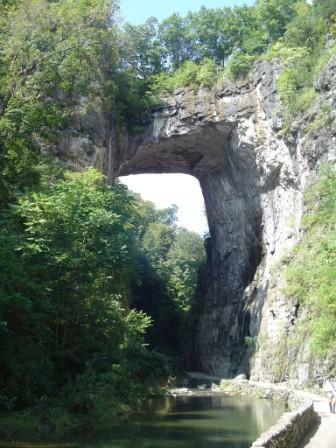 The Natural Bridge. 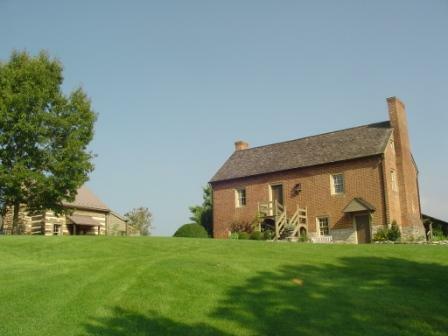 Thomas Jefferson once owned it (he bought it and 157 acres of land from King George for 2 dollars). 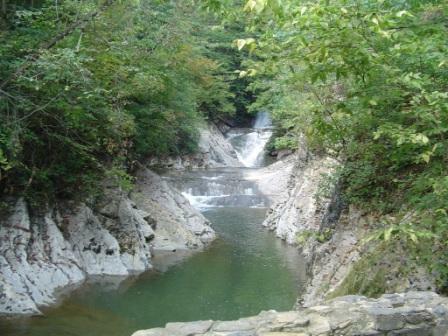 A mile-long hike took us to the Cedar Creek falls, which were very active because of the recent storm. 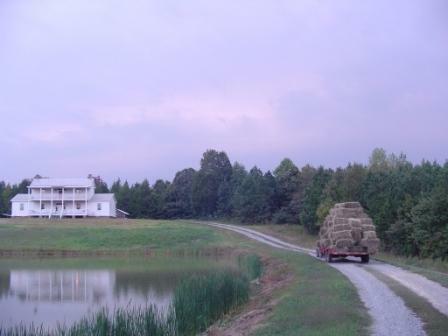 And here's our secluded anniversary cottage in the hills just south of Lexington. We stayed upstairs in the oldest part of the house. 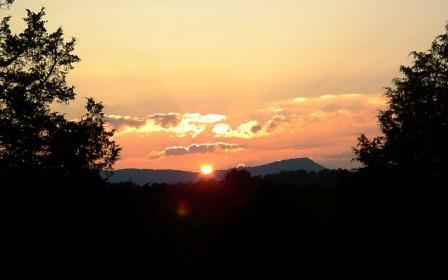 After a delicious supper at Ruby Tuesday's, we watched the sun set over the Blue Ridge from our front porch. On Friday we drove over to the Buffalo Springs Herb Farm. We were blown away by the beautiful grounds and buildings. Just look at that lawn. 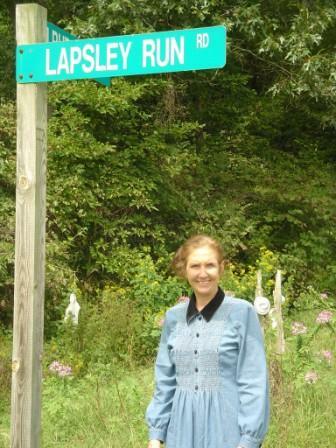 Always the historians, we decided to try and find the area where Becky's family (the Lapsleys) once lived. And we did. 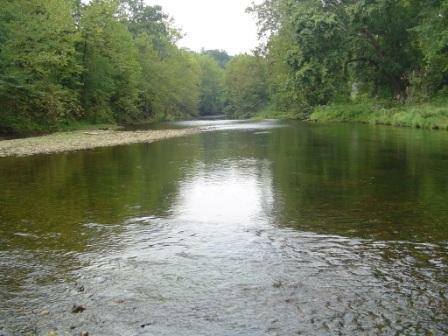 This is where Lapsley Run joins the James River. The Lapsleys didn't stay long in the Shenandoah Valley. Some moved to Kentucky, others to Texas. Becky's line ended up in the small town of Dallas. That was 5 generations ago. 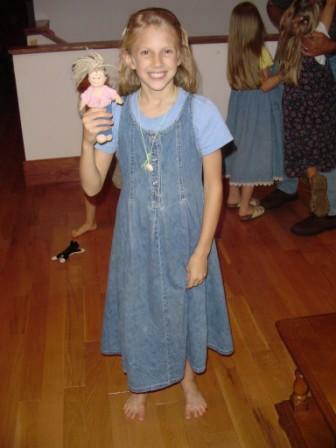 On the way home we visited some good friends near Rocky Mount, VA. Their daughters couldn't wait to give us their dolls to pass on to some Ethiopian children on our next trip. Shall not the same divine power of love that belongs to earth be lived and sung by the disciples of the Man of Sorrows and the Burden-bearer of sins? Yea, verily! And this man and woman shall walk hand in hand through this great desert of human woe in this city, strengthening each other, growing more lovely with the experience of the world's sorrows, walking in His steps even closer yet because of their love for each other, bringing added blessing to thousands of wretched creatures because they are to have a home of their own to share with the homeless. "For this cause," said our Lord, "shall a man leave his father and mother and cleave unto his wife." As we begin another year together Becky and I desire to love Him with a deeper, truer service and devotion than ever before. 7:43 AM Small church shepherd Tony Sisk addresses the problem with our teens here and here. I’ll contribute to the debate by adding that only a return to biblical teaching on youth can solve the problem. 7:40 AM If you missed these links on the home church, you can log on to them with a click. 7:35 AM FBC Family has published (.pdf) a review of an essay I wrote based on my book Why Four Gospels? You can read the review here. “Transfer growth” is usually nothing more that a perpetual regiment of disgruntled church members who pass from church to church seeking to have their perceived or felt needs met. By the way, this is not true Christianity because mature church members are to be givers not takers. Read Transfer Growth vs. Real Growth. It would be a mercy if one time – just one time – American evangelicals en masse would exchange their needs-based kingdom-building for obedience-based discipleship. 7:31 AM Westmont College announces an opening in Religious Studies. Don't look for a mass revival to take place, but there may be a wick-trimming among the faithful as the Bridegroom draws near. Meanwhile I’m plugging away at trying to teach myself a few simple Romanian phrases. I must be having a mental block, however. I wish the country spoke German or French instead. 7:16 AM Why corporate blogging is the wave of the future. 7:12 AM Baptist Bible College’s Rodney Decker has written a very helpful supplement (.pdf) to chapter 2 of my book Using New Testament Greek in Ministry. Thanks, Rod, for this labor of love. 7:39 PM I just got back from Wake Forest, weary and worn but elated at how well classes have gone thus far this semester. Right now I need to get unpacked and prepare for tomorrow's trip. 6:43 AM The latest addition to our home page is called Truth and Love: Finding Our Balance. 6:40 AM Did you know that blogging is good for your brain? World Christians are (in Corrie Ten Boom’s phrase) tramps for the Lord who have left their hiding places to roam the Gap with the Savior. They are heaven’s expatriates, camping where the Kingdom is best served. They are earth’s dispossessed, who’ve journeyed forth to give a dying world not only the gospel but their own souls as well. They are members of God’s global dispersion down through history and out through the nations, reaching the unreached and blessing the families of the earth. 6:32 AM Becky's peas are on the rise! 6:29 AM "A dead thing can go with the stream, but only a living thing can go against it." G. K. Chesterton. 6:25 AM Greek students! Here's an amazing list of tools that you can use whether you're a beginner or an expert in the language. 6:22 AM Jesus, spiritual carpenter. 6:13 AM Here's the Reader's Digest version of our anniversary day. Woke up and sipped coffee together on the front porch, then shared our gifts with each other. I cooked eggs-in-a-hole for breakfast. We worked on putting up our reenacting gear. Had a nice visit from some friends who brought us specialty coffees and Hershey Kisses. I did some writing while Becky baked my favorite pastries: cinnamon rolls and raisin bread. Later she cooked a superb anniversary supper. We capped off the evening watching Elizabeth Bennett and Mr. Darcy fall in love in Pride and Prejudice. God is good. 8:38 AM Today Becky Lynn and I are commemorating 30 years of holy matrimony. Only the Lord could have brought together a fifth generation Texan and a surfer from Hawaii. We have much to celebrate and to be grateful for this day. I wrote Remembering September 11 several years ago as a reflection on our marriage. 8:30 AM A big Monday shout out to Al Boswell and his event staff for putting together a fabulous reenactment this weekend in Snow Camp, NC. We drove up on Friday and stayed until Sunday afternoon. 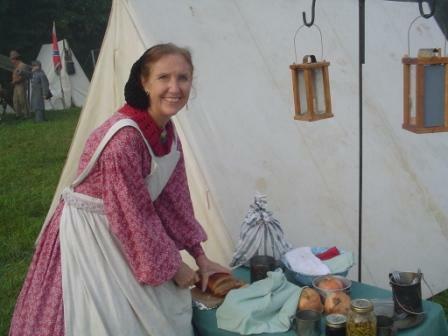 The weather could not have been better for doing an outdoor living history. 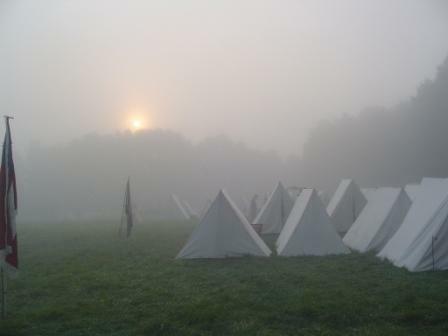 Here's the scene that greeted us on Saturday morning in the Confederate encampment. 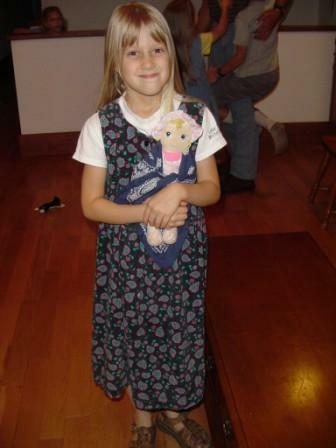 We try to keep as period as possible, from the brogans we wear on our feet to our tentage. Becky's cooking is always stellar during these events. We fell in with the 1st Kentucky Regiment and Becky became camp cook. Here she is slicing some of the homemade bread she baked a day before. Our meals were sumptuous fares, and all cooked over an open fire. A big thank you to Becky for blessing us in this way. 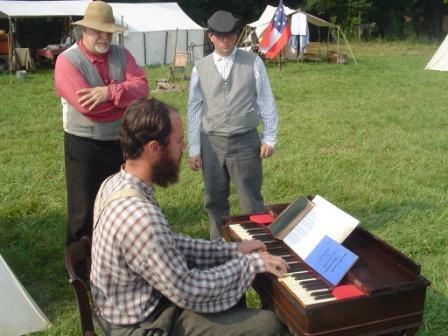 In the photo below Nathan is playing period hymns on his 1850-era reed organ. This is not a reproduction and was undoubtedly played during the war. How anyone can operate the keyboard with his hands and pump the bellows with his feet at the same time is beyond me. 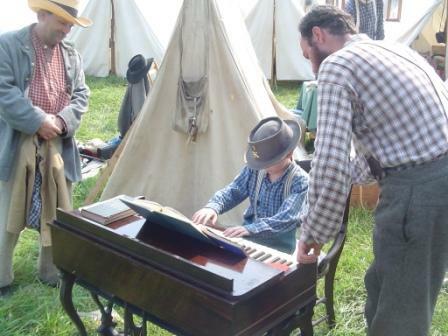 Organ lessons are always free and gladly dispensed, much to the delight of this young man and his father. 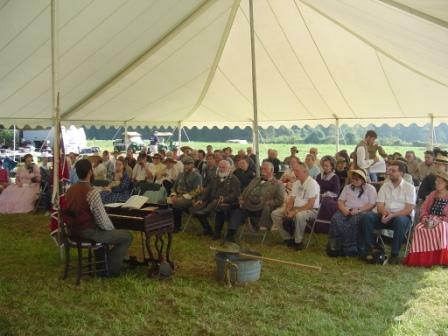 The two show battles we put on for the public were great fun, but to me the highlight of the weekend was the period church service held under the main tent on sutler row. Before the service Nathan gave an organ concert to an appreciative crowd of reenactors, including Generals Lee and Jackson (center). I had the joy of sharing a simple message and was very ably assisted by fellow-reenactors Dennis Riddell (welcome and opening prayer), Jeremy Enquist (song leader), and Will Delaney (bagpipe solo). Thanks to all for their assistance. Here's a good shot of our worthy opponents just before battle on Saturday. The older gentleman (center of photo) took dead aim at me during the contest and down I went. The cry went up from the Federal ranks: "You killed Dr. Black!" I'm often asked, "What rank are you? General? Colonel? Major?" The answer is that in 15 years of reenacting I have never aspired to a higher rank than the one I currently possess: private. I am the extension of a musket, nothing more and nothing less. But battles were won or lost because of the private soldier. Reenacting is a wonderful hobby. It's also an enormous mission field. Just like people everywhere, reenactors are not immune to the heartbreaks of life. 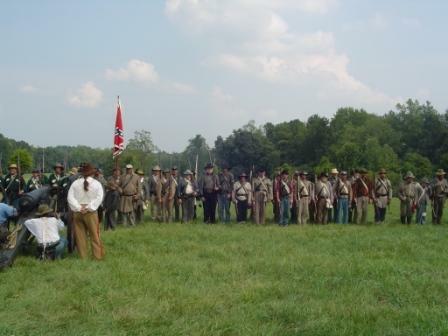 My greatest desire is to see our dear friends experience the "full" reality of the Civil War, which for many (especially in the Southern armies) meant coming into a deeper, personal relationship with Jesus Christ in the midst of the harsh realities of war. 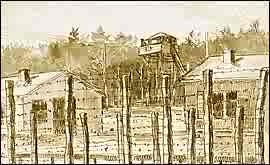 Truly, Christ was in the camp. 7:46 AM Just added to our home page is our latest essay, The Problem of Wineskins. Thank you for praying for me as I bring the message on Sunday. I do not "reenact" church; it's the real deal. 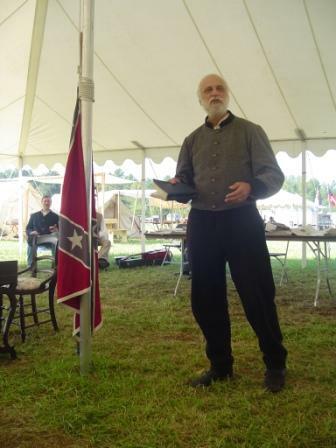 The reenacting community is a huge mission field, and I will be breaking with habit and bringing an evangelistic message. May the Lord be praised! 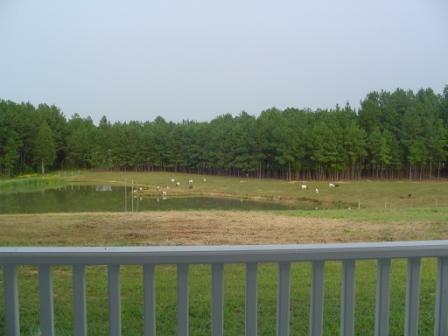 6:03 PM As I sit here on the front porch writing my latest web essay, here's the view that greets me. Just thought I'd share it with you. 11:38 AM In 5 days we'll be celebrating our 30th wedding anniversary. I got Becky's present yesterday. Boy is it cool. I can't wait to give it to her on Monday. 2) Several days ago we received a letter from a family in Washington state. They read about Ethiopia on our website. The Lord has given them a love for Ethiopia. They have sent us many eyeglasses, and now they are sending us protein bars and vitamins. This family has several young children, and the children are very involved: they choose the eyeglasses, they pray for Ethiopia, etc. Well, in this letter the mother wrote that their family is having a “Car Wash for Ethiopia.” They’ve made a large bulletin board with pictures and information so that the drivers can read about Alaba while their cars are being washed. The car wash will be on Saturday, September 16, and they have asked us to pray for good weather. We have written the church in Alaba reminding them to pray for this dear family as they perform this service of love. They are working for His people on the other side of the world! In an age of selfishness and hubris, this rural congregation and this family inspire and encourage me to live a more selfless life. This is my standard and longing. It is my goal in life. Thank you, dear friends, for modeling that for me. 9:34 AM In class this week I emphasized the importance of acquiring Bauer's Greek lexicon. You can read Rodney Decker's review of this standard work here. 8:57 AM Here's the very latest on The Battle of Zachary Hill this weekend. Note: The reenactment this year features the Hunley submarine, a must-see. In 2004 our reenacting unit had the privilege of marching in the funeral parade in Charleston for the burial of the Hunley crew. 8:54 AM Tony Sisk has a new blog called The Rambling Prophet, which I commend to your attention. His latest entry addresses the silliness of lumping all Muslims together as terrorists. Along the way you might note the fact that the fasting growing Muslim population in the West is right here in the United States. For a helpful overview of Islam, go here. 8:51 AM The Internet continues to transform how the world’s information is indexed, searched, and accessed. That’s the thrust of this piece about Google’s News Archive Search. This is good news for history buffs like me. 8:45 AM Here's an interesting overview of the history of the Protestant church in Ethiopia. Becky and I have had the joy of working to some degree with each of the denominations mentioned in this essay. Our current work in Alaba and Burji is done in conjunction with the Kale Heywet church, which was founded by the missionaries of my in-laws' generation. As with any virtue, patriotism can be transformed into a vice when taken to the extreme. Nationalism is a common mistreatment of the virtue we are discussing. We need to have discernment, and we need to “walk circumspectly, not as fools, but as wise” (Ephesians 5:15). Let us discriminate between blind support and support of our country in that which we know furthers its ultimate good, with application of God’s law principles. I must say, I think the younger generation is getting it. 8:37 AM Recent openings of note: Bethel University (Theology), Trinity International University (Christian Ministries), Baylor University (Reformation Studies), St. Olaf College (Religion), Elon University (Religious Studies), Fuller Seminary (New Testament), Wheaton College (Old Testament and Theology), and Simpson University (Old Testament). 8:33 AM WW III has started. Well, not really. It’s just dove season. And there’s plenty of shooting going on where I live. I have one request. Please don’t shoot at low-flying birds. 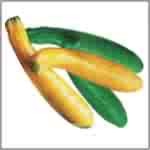 The vegetables which you brought for Hajji Mohamed bore fruits. Even those Muslim people around them plant it in their garden. The fruits are yellow and green. It is happy, happy, happy. My Mom, the problem is we couldn’t know how can we eat. 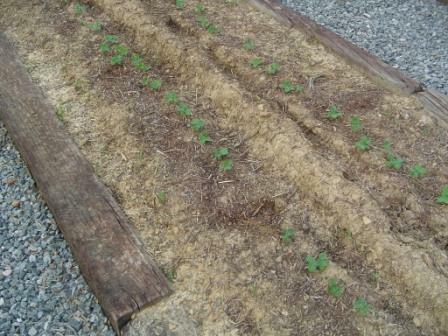 Can we eat the row or we must roast it? Please can you explain about it? The people are waiting your explanation about it. 8:24 AM Miss Lindsay of Houston has a nice update on a young lady from Romania she met recently. If life is really that simple in that country, I think I’ll enjoy it tremendously. I for one am grateful for the less technocratic pace of rural living. 6:17 AM Greek students! If you haven't discovered it yet, Zack Hubert is your best friend. Here's why. 6:15 AM Okay, so you've never been to a Civil War reenactment but have always wanted to see one. This weekend's your golden opportunity. 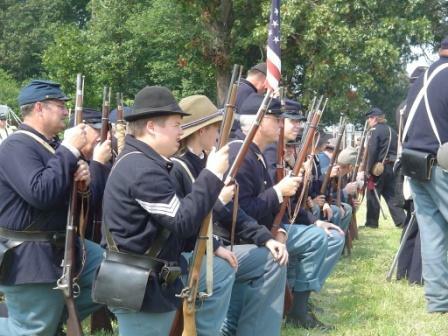 The Battle of Zachary Hill is a local, family-oriented event this coming Saturday and Sunday. For directions and a schedule of activities (including the times for the show battles and the period church service on Sunday), go to last's year's link. (I couldn't find one for this year's event yet.) Yours truly will be bringing the Sunday message. I was humming it to myself this morning so I thought, why not blog it? 6:10 AM Our Greek exegesis class will be going over this essay today. I want to help everyone see how beautifully and wonderfully God made the epistle to the Philippians and how the theme (linguistic macrostructure) determined Paul's choice of words, phrases, and clauses. All I can say is that my heart is filled with gratitude to God for allowing me the joy of teaching this wonderful letter in such a wonderful place. 6:07 AM To find out why clergy change jobs, go here. 6:05 AM I just had to comment on the tragic sting ray attack that left a man dead yesterday. I've only been stung by a sting ray once and that was enough. It happened at San Onofre Beach in Southern California. The barb entered my left foot and the poison stayed in my system for hours. Nothing could lesson or control the pain I felt. Nothing. This may sound wimpy, but I never want to experience such suffering again. 6:00 AM So far, so good. We've gotten a huge trailer load of tin roofing, beaded board, doors, and even a mantle from the old farmhouse someone bought and is gutting. Only problem is: where to store it all? I can't see us building another shed; we've got Nathan's stone chimney to erect before winter arrives. But we are getting some good stuff. And the price is right: free. 8:17 AM Miscellaneous notes: The weather is turning wet again so we may or may not be able to repair a barn roof at a farm about 20 minutes away from us.... This week we're studying Phil. 1:12-26 in Greek exegesis, and I've got a hunch we'll be spending a lot of time talking about the priority of the Gospel in all things. Paul's "travel narrative" is much more than that: it shows what kind of a man Paul has turned out to be in prison, and that is a man who lives only for the sake of the Gospel. What happens to him is irrelevant. As long as the Gospel is being proclaimed, Paul rejoices. It's odd to think of how many believers this very day are in prison because of their faith yet would be rather be there than free.... Today I should be receiving the final itinerary and speaking schedule for my trip to Romania that begins this later month. I might post it here so that you can be praying for Radu and me as we travel and teach. Romania has been in the news lately because of its attempts to legalize prostitution and its refusal to send troops to Lebanon.... This week in beginning Greek we have to get our students over the second of two hurdles, the concept of inflection in the Greek noun. We've already introduced the verb system, which is a lot like Spanish. Nouns are very similar to those in German, not that those who had high school German will remember much about that language. My philosophy: make no assumptions about previous language experience. At any rate, I wish all of my students a blessed week and I hope your professor isn't too hard on you! 7:52 AM Bethel Hill Baptist Church has just set up a marvelous webpage that highlights the work they are doing with their sister church in Burji, Ethiopia. Just another illustration of the "orthodoxy of community" that Francis Schaeffer spoke of so often -- people caring for each other in every area of life, including financially. Increasingly I am convinced that this is the secret of living within a fallen and abnormal world. 7:46 AM "Muslims are the new Jews," said Paul Silverstein, an anthropology professor at Reed College in Oregon who studies the intersection of race, immigration and Islam. "They're the object of a series of stereotypes, caricatures and fears which are not based in a reality and are independent of a person's experience with Muslims." Read more. Thankfully, because Jesus is God His death has infinite value and can cover every spot, including our bigotry. 7:05 AM The latest addition to our home page is called The Joy of Volunteering. 6:58 AM I have been greatly blessed by Lane Keister's series on the Beatitudes. His latest installment is called Meekness, Not Weakness. 6:54 AM Over the weekend Nathan and I worked on farm equipment. 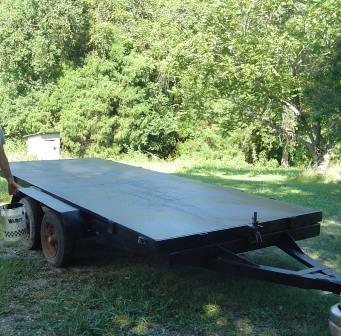 He just purchased a new metal trailer and asked me to clean and paint it (along with two of his wheelbarrows), which I was happy to do. You can't believe how hard it is find anything other than wooden trailers these days, so locating this one was definitely of the Lord. 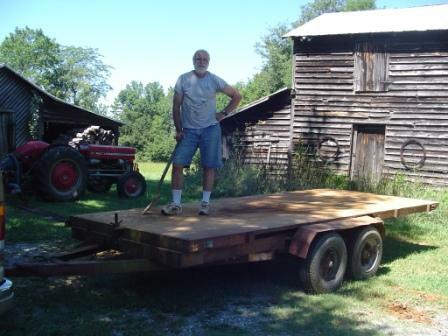 We've got our sights on a corn crib that we want to move to our farm, and we just might be able to accomplish that without taking it apart if we use this trailer. We'll see. Meanwhile, we're looking into buying a new sickle mover to cut our hayfields with. Here's one "on loan" from a neighbor. It hasn't been used in many years. If we can get it running again we can have it for a mere $100. 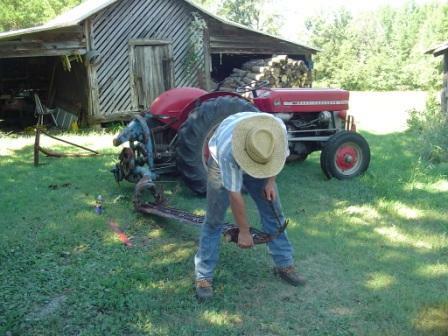 Here's Nate trying to loosen up the mower blade with some WD 40. If anyone can get it working again, he can. 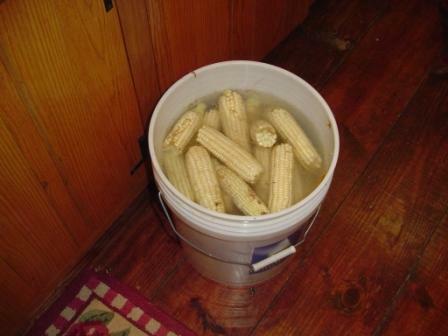 Despite the recent rain and wind, the Lord allowed us to salvage some of our corn crop. I don't know about you, but to me it's not a farm without corn. Here's a bucketful picked yesterday evening. That's it for now. Stay tuned for the next exciting episode of "As the Farm Turns." 6:47 AM Check out this dog and horse show. 7:56 PM We just said a fond farewell to the staff of Olde Mount Vernon Baptist Church who blessed us with a visit today. They spent the day praying, planning, and preparing for the new church year. To visit their website go here. 12:35 PM I'm sitting here getting some writing done on the computer. Right now I'm working on an essay dealing with finances and ministry -- a topic that is close to my heart. In the background I hear laughter and dishes clanging while Becky does what she does best: entertaining our guests. Shortly I'll be going to work (I actually did bus tables in Waikiki at a fancy restaurant, uniform and all.) Then it's off to repair the back fence that was hit in two places by fallen trees, courtesy of Ernesto. Nate's already chopped the trees down. You can't beat that for efficiency. 12:26 PM Smart realtors have started blogging. Blogging increases their visibility and market presence. I don't know exactly how many people have begun reading my essays because of my blog, but the number is high. Go realtors! 12:17 PM Just snitched some of the Cream of Broccoli Soup (with B's permission, of course). Wow! 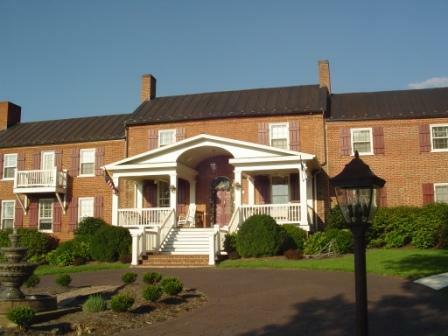 9:25 AM I'm rushing around because in a few minutes we'll welcome a group of elders to Bradford Hall for a retreat. Their goal is to seek the mind of the Lord Jesus; ours is to facilitate that through hospitality. It's going to be a good day. For breakfast Becky Lynn will be serving Blueberry Cobbler and Coffee; for lunch Cajun Gumbo and Cream of Broccoli Soup with Cornbread and Toast; and for supper Meat Loaf, Mashed Potatoes, Green Beans, Tomatoes, and Key Lime Pie. My job? I'm the busboy. The weather is perfect. Currently the sky is cloudless, and the temperature is a comfortable 75. 9:15 AM A big Saturday shout out to the many new students I met this week. Welcome to North Carolina. I hope you enjoy your stay in Wake Forest. 6:15 PM Who said Greek syntax wasn't fun(ny)? 9:21 AM Nathan just snapped this cornfield photo: the work of Ernesto last night. 8:46 AM The latest addition to our home page is called On the Road Again -- and Needing Your Prayers. 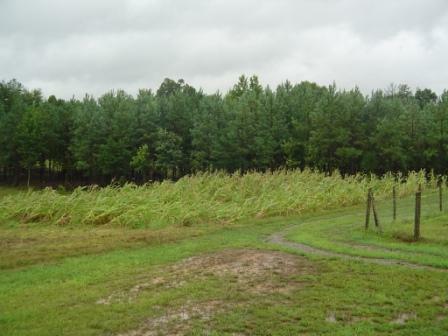 8:42 AM Just a public thank you to the Creator for giving the parched fields of Mecklenburg County, VA, a long drink of water. 8:34 AM Greek students! If you are contemplating getting a Ph.D. in textual criticism you must read this discussion.